Crazy. Hard-core. Insane. These are the words I’m hearing in reply when I tell people I’ve signed up for *The Tough Mudder competition. The event is a 1 day adventure race/obstacle course. There are several versions of it around the world and I’ve entered the Vermont event at *Mt. Snow. The obstacles include (and this list is by no means all-inclusive) running up a ski slope while carrying a log, climbing an ice wall, running through live electrical wires (yeah, this one scares me a little) and to finish; running through fire. Did the organizers think this stuff up while sitting around having a few cocktails? Oh, and the course is 10 miles long. The Lost Girls Races is a challenge where each one of us can choose our own race to compete in and raise funds for a well-deserving cause. The Butterfly Project is the recipient of these funds. The women in Africa who will be helped by my contribution face much more daunting obstacles every day than I’ll be facing on May 7. Hopefully I can be a part of one of them going on to accomplish extraordinary feats. I am somewhat attracted to the physical challenges above and beyond the norm. It feels great to push myself both mentally and physically and see just how far I can go. 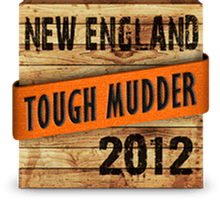 When a friend mentioned the Tough Mudder, my first reaction was “I can’t do that!” As soon as the words left my mouth I felt my inner tough girl get fired up. And quickly changed my tune to “Sign me up!” I also have to admit I sort of love the attention I get when I tell people about this latest adventure. I’m a runner from way back and have run in some amazing places. Lately though, running just hasn’t had the appeal for me it once did. Oh, I still love it and do it, but the excitement I used to feel before a race has somewhat dissipated. At the starting line of my last few running races I didn’t have that sense of “Can I do this?” I want that back! If we only attempted what we knew we could accomplish, what fun would that be? Running certainly does a great job of keeping me fit and healthy. But even with a regular running routine, there are parts of my anatomy that need work. Core and upper body to name two of them. In order to complete The Tough Mudder I’ll need to be strong all over. With swimsuit season following not too far on the heels of the Tough Mudder it’s great timing too. Not only have I committed to this off-the-wall escapade, 7 amazing women are joining me. Sue, Diane, Jayne, Janice, Susan, Melissa, Jennieve and I are Team Lost Girls and none of us have ever done anything like this. We’ll be comparing training plans and encouraging each other in the days leading up to the race. On race day we’ll definitely be there for each other literally pushing each other up and over obstacles and pulling one another out of the mud. That’s friendship and support at it’s most basic level. Good Luck! Our Team, Team Kim Fit, consisting of 6 of us, 40 and up, is doing the PA mudder…in according to my countdown on my work calendar….ugh, 11 days…its been a great experience training together as a group, we have been doing it for many of the reasons you said above…I have to take a tums everytime I think about the freezing water (temps are STILL 40-50 here in PA…) but we are ready, I think 🙂 !!! Oh, good luck to you too! I’m both nervous and excited. Believe me, it’s still cold up here too…and they say another foot of snow on 4/1! Let me know how it goes!